Double-sided cards cover the first 72 episodes of the series. 18 cards. Inserted one per pack. CC02 Dr. Donald "Ducky" Mallard"
9 cards. Inserted one per pack. Awarded for total boxes ordered. 2012 Rittenhouse NCIS Premiere Edition sees the hit drama make its hobby debut. Rittenhouse is giving its first set the premium pack treatment, focusing largely on chase cards. Every seven-card pack comes with one autograph and two costume cards. Although series lead Mark Harmon didn't sign for this set, regulars Pauley Perrette and Rocky Carroll did. Enticing those who might not watch the show are autographs from TV legend Bob Newhart and former Charlie's Angel star, Cheryl Ladd. The 36-card base set covers the first three seasons. Two episodes are covered on each card. 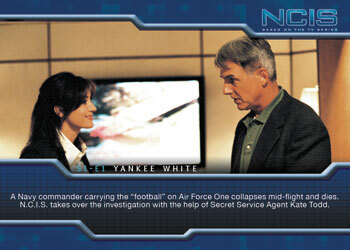 Packs also include a Stars of NCIS insert. 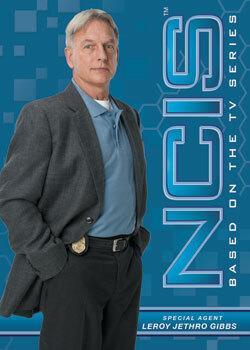 Covering the show's first three seasons, each of the 36 2012 Rittenhouse NCIS Premiere Edition base cards cover two episodes. Autographs fall one per premium pack. The tentative lineup includes series regulars Pauley Perrette (Abby Sciuto) and Rocky Carroll (NCIS Director Leon Vance) as well as superstar guests Bob Newhart and Cheryl Ladd. Other signers include Charles Durning, Michael Nouri, Sean Harmon, Scottie Thompson, Sarah Jane Morris, Jessica Steen, Rena Sofer and Pancho Demmings. Every pack also comes with two Relic Cards featuring costume swatches worn on the show. Costumes comes from such stars as Mark Harmon, David McCallum, Perrette, Michael Weatherly, Sean Murray, Carroll, Cote de Pablo and more. 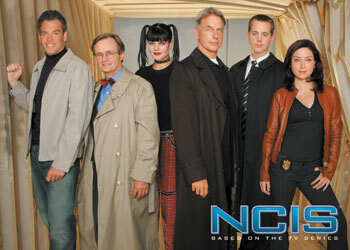 Inserted one per pack, Stars of NCIS inserts highlight the main characters of the show. 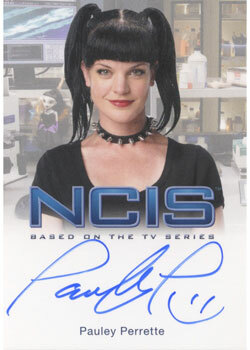 Sold separately, a 2012 Rittenhouse NCIS Premiere Edition binder comes with an exclusive promo card. NCIS Archive Box (eight-box) - comes with a master-set all pack-inserted cards, including autographs and relics. Here are the top 5 deals on premium packs currently listed on eBay. Richard W. Fisher (ID 36490) � They’re just announcing the set now. Pre-sales should start popping up on eBay in a while. You could also try and find an entertainment/non-sport dealer online. Most do pre-sales. Are there any of Fornell or Mike Franks? If they made one of Director Shepard’s assistant, these two and Jackson Gibbs deserve one, too.